I had a cold last week. One of those annoying head colds that gives you a headache and makes your nose and eyes stream. You know you’re not actually that ill but walking up the stairs feels like you’re hiking up a steep hill. Your body feels like lead. That was how I felt last week and thats why I decided to give running a miss for a few days. It actually turned into something like a week. It was partly self preservation and partly lack of motivation. So at the end of last week I decided to go for a short run round the block. It was absolutely hideous. It was a 3 mile loop I’ve done many times before but on this occasion it felt like I was pulling a tyre behind me. I hate those runs after a cold but they’ve got do be done. After this run I reflected on why I might have been finding it so difficult to get back into my usual training after such a minor ailment. I have thought up a plan for my overall health and fitness and here’s what I think it could or should entail. 2. I need to drink more water. I cheat and tell myself that cups of tea count, but they don’t. I need to hydrate properly so I shall try to drink more water. You can’t exercise effectively if you’re dehydrated. 3. I need to eat better. I’m a busy mummy of two boys, one of two and one of six months and I tend not to have my own meal at lunch time because I’m trying to sort them out. By the time they are sorted I end up having a quick snack. Again this is no good if I’m training in the evening as I usually do. No food means no energy. I need to be better at eating through the day and I need to eat my five fruit and vegetables a day. So these are the things I need to improve on. They won’t stop me getting a cold but the effects of the cold might not be as bad and hopefully I’ll recover more quickly and get back to training sooner. This entry was posted in Uncategorized and tagged diet, head cold, iron levels, recovery, running on July 26, 2010 by kathleen. Following the birth of my second son by caesarean section I decided I would make an effort to follow the postnatal exercise programme I had been given on discharge. I was familiar with the exercises because as a Physiotherapist I had taught them all on many occasions. I am a bit of a naughty Physiotherapist though. I don’t often follow my own advice however this time I was determined to do these exercises religiously. After all, I needed to tone up the stomach, not just for reasons of vanity but to strengthen the muscles that help support my spine and pelvic floor. That was the plan. It will be of no surprise to the parents among you that the exercises weren’t adhered to very well at all. My stomach was very numb after the second section so I had no clue as to which muscles I was tensing. This is known as poor proprioception. Plus there just didn’t seem to be the time, with a newborn and a toddler to look after. When my husband came home from work I was just too tired and wanted to flop. Terrible really, as the exercises just required me to lie on the floor. I moved on to my next great idea. The gym ball had sat in the house from when I was about 38 weeks pregnant. We had bought one for me to bounce on in the hope that all the jiggling would bring on labour. It didn’t. So the new plan for the gym ball was that I was going to do exercises on it to tone my tummy and improve my core stability. Baby T was a hefty weight and lifting him was making my back twinge. I found a little booklet with some gentle core stability exercises and for a week I was doing them regularly. Then my toddler got hold of the ball. He took it into the garden and I forgot to bring it in. After a night outside it was covered in all sorts of bugs and I couldn’t bring myself to clean it and bring it on. It remains an outside toy for toddlers. I moved onto my next oh so clever plan. I had seen some exercise DVDs advertised on the television. Out of the adverts I had seen the one that had appealed to me most was a dance type workout. I fancied something a bit fun. Dancing is really good for your core so I popped to the shops and got myself a copy. I finally had a chance to give it a go when husband was at work, toddler was at nursery and baby was having a nap. I did my best with it, really I did. I discovered I was totally uncoordinated, couldn’t get the hang of the dance routines and I just got annoyed with myself. I tried the abdominal toning section and I found that even the beginners section was far too hard for me. Very disappointing. I also got a bit self-conscious that someone might look in the window and see me. Turned out it wasn’t my cup of tea at all. So if anyone wants a Ministry of Sound workout DVD let me know. For a while I gave up on the abs obsession and started running but my core muscles are so weak that it is a wonder to me how I can actually stand upright let alone run. I think I am setting myself up for injury because if spinal stability muscles are weak, other muscles take over such as hamstrings and adductors. These muscles aren’t built for this job and can become stressed by the extra load. I really shouldn’t ignore the fact that my core is so weak and its become less about appearances and how my stomach looks and more about concerns about my lower back. I need to try to work the spinal stability muscles because research has also shown that these muscles, such as the ones they cut through when you’re having a section, don’t spontaneously strengthen, they need specific training. I know all this as a Physio but I’m still struggling to find the right exercises for me. Recently I have been having a running magazine delivered to me and I have found a really simple abdominal strength programme in one of the articles. It’s supposedly a tummy toning programme too so bonus if it works. My approach to this has been very faddy so far and I never thought I was like that. I should also have more patience with my Physiotherapy clients when they haven’t been able to do the exercises. However if I don’t do something about these muscles things won’t improve. I’m still running despite my wobbly abs and my back is still twinging, so I promise to give these exercises a go and see if they make a difference. Watch this space. This entry was posted in Uncategorized and tagged abdominals, abs, caesarean section, core stability, exercises, postnatal, running, spinal stability on July 18, 2010 by kathleen. It’s a Saturday at 8.45am. The day before my thirtieth birthday. I drive down to a Cardiff supermarket and park up in the car park. I get out of the car and turn my back on the shop and follow the hoards of people heading towards the main road. Totally unsure about where I’m supposed to go, I follow the gaggle of people down some steps and onto the Taff Trail. From the top of the steps I can see a huge group of people all gathered to one side of the path. This is the start of the Cardiff Parkrun. An event that happens all over the country at 9am (9.30am in Scotland). An event where people willingly get out of bed on a Saturday morning to run 5km, or 3 miles in old money. I’m nervous, its only my third run since having Baby T but I make my way down the steps to get ready. The people here all have their own way to get ready before Parkrun. Some are jogging up and down, some are stretching out their muscles but most people are standing around chatting. It’s a diverse group too. The age range spans from early teens, maybe younger, to people in their sixties and beyond. There are the serious runners in their club vests, the iPod runners, runners with all the gear, male runners, female runners, runners of all shapes and sizes. All with their own reason for being there. I bump into a friend of mine. 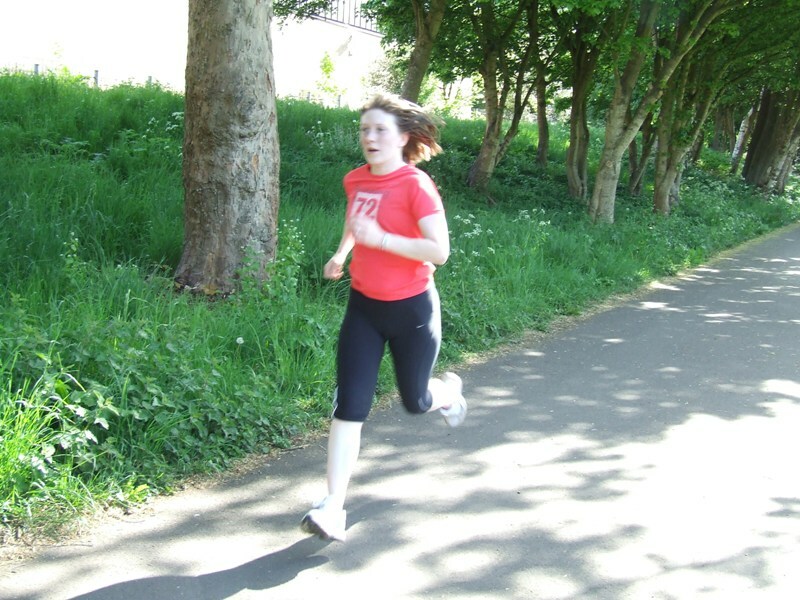 Its her first Parkrun too. She’s been training for triathlon and this is almost like a training run for her. Before long everyone is called to the start line for the 9am kick off. I nestle somewhere in the middle of the hundred plus group. We start and the crowd bustles over the start line for the 5k run along the River Taff, around the flower gardens and back to the start point. It’s a beautiful run. The first part is shaded by trees on either side of the trail. It then opens out into a park area. We’re directed around the gardens and back to the river trail. My first Park run was on a gorgeous April morning. It was lovely and warm. My friend started to run with me but I soon told her to run on ahead. I just wanted to make it round. The 5k felt like it took forever and lots of people passed me, at one point a man pushing a buggy sprinted way ahead of me. A man with a dog on a lead also passed me. I was glad when my first Parkrun was over but it felt like an achievement after such a long time with no exercise. I’ve now done four Parkruns. Three in Cardiff and one in Bushy Park, Teddington, close to where my parents live (an equally lovely run and the original Parkrun). Each Parkrun has been so welcoming and I’ve managed to talk to a few people when I’ve headed down there. There is a woman who is just getting back into running after being diagnosed with a heart condition for which she has had surgery. That was truly amazing. I’ve seen a girl at Bushy Park that I used to run against as a teenager. She’s also had a baby (FYI she’s still very good and was much faster than me, enough said). Lots and lots of physiotherapy colleagues. An ex Springbok rugby player who takes his two sons aged 9 and 7 with him to run each Saturday. I think most people who go down there have their Parkrun story. So people, when are you going to do your first Parkrun? Go to www.parkrun.com to find your nearest Parkrun and join the running revolution. This entry was posted in Uncategorized and tagged fitness, parkrun, run mummy run, running on July 14, 2010 by kathleen. So that first run I mentioned. Well it was the hardest run I have ever done and how far was it? All of a mile and a half. It took me twenty minutes. Twenty minutes! When I was a teenager I could run a 1500m in under 5 minutes. Ridiculous I thought to myself. My chest was burning, each breath I took in was like fire and I felt like I was pulling a car along behind me. My comeback wasn’t meant to be like this! 1) I had only had a baby less than three months previously. 2) Baby T was born by caesarean section for which there is a long recovery and healing period. 3) I hadn’t done any cardiovascular exercise other than pregnancy yoga and the last time I had been running properly was when our eldest was about 6 months old (I then broke my arm, went back to work, running disappeared). So to sum up baby related body changes, major abdominal surgery and basic loss of fitness due to forced inactivity. Right, ok. Maybe I was slightly optimistic about how the first run should go. After that first run I didn’t run for about a week. I then tried again and I could run a bit longer. Then a bit further and then I dared to venture away from the blocks of houses where we live to do a 2-3 mile run. It hasn’t been pretty and its been hard and I have wondered why I’m bothering but afterwards I’m glad I’ve done it. So I’ve started running again and I’ve entered the ballot for the London Marathon so I have something to aim for. It’s all going to go swimmingly. Right? This entry was posted in Uncategorized and tagged babies, baby, caesarean section, cardiovascular exercise, fitness, pregnancy, pregnancy related body changes, running on July 13, 2010 by kathleen. My name’s Kathleen and I’m a Runner. Sounds a bit like the start of an AA meeting. I don’t know about you but people do look at you a bit weird if you like running, but I do, I love it. I’m sure lots of people run and blog and blog about running but I thought it would be a fun thing for me to do. I better explain myself. I love running. I’ve run since the age of eleven and its the only form of exercise that I really enjoy. I’m lucky that it has always come naturally to me. For example, some people can cycle and love going riding. I’ve tried it, can’t get on with it. Running is the way for me. It hasn’t all been plain sailing though. Running and I are coming back together after a long separation. In fact Running and I have had a love/hate relationship. I ran until I was well into my late teens. Then there was A-levels and a boy. Running went to the wayside. Then there was university, I stopped completely. I started again when I was in my early twenties, stopped again, got married and started having babies. Then a few months ago after deciding there will be only two babies, no more (honest) Running started to bug me again. About ten weeks after having my second child I started running again. I won’t fib, it was hellish. I don’t know what I was expecting. I almost gave up after that first chest burning, nausea inducing, muscle bruising run. I didn’t though, I went back for a bit more. Then a bit more, started doing some Parkruns (which I intend to blog about), had to have a break for a couple of weeks to get over some niggles, and here I am now running 3-4 times a week. To say I am a wee bit chuffed would be an understatement. 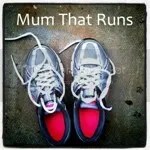 Five months after Baby T was born I am a Running Mummy! So I’m hoping this blog can be my Running Journal and document my path back into Running and hopefully competition. It’s not going to be easy and there will probably be some tears and tantrums when it doesn’t always go my way but I hope if you fancy having a go at running, jogging or any form of exercise you might be encouraged to give it a go. This entry was posted in Uncategorized and tagged runner, running, running mummy on July 13, 2010 by kathleen.